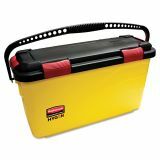 Rubbermaid Commercial HYGEN HYGEN Charging Bucket, Yellow - The Rubbermaid Commercial Products HYGEN Mop Charging Bucket features a molded-in measuring guide to aid in filling with cleaning solution. 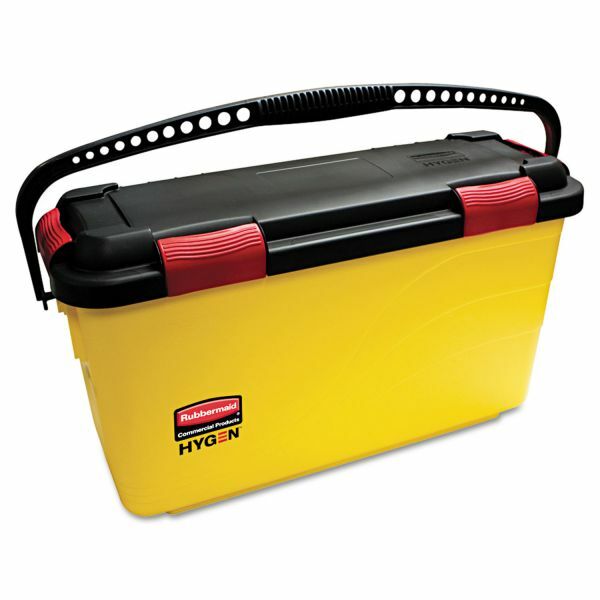 The hinged lid with 4 snap-on airtight latches keeps solutions secure. For use with single-sided Rubbermaid HYGEN microfiber mop up to 18 inches in length. Smooth, non-porous surface helps prevent bacterial growth and cleans up easily. Use with Rubbermaid® Commercial High-Security Healthcare Cleaning Cart RCP-9T7500BK (sold separately).